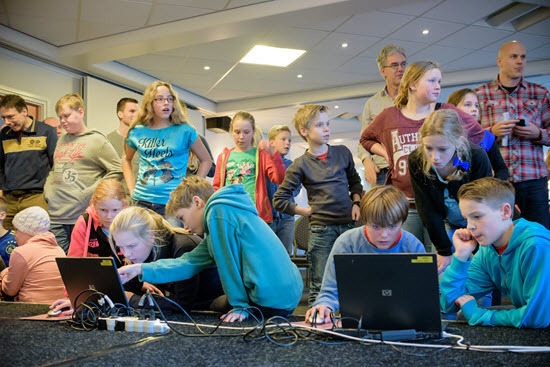 Tuesday, Januari 13, saw the first Chessity event at the Tata Steel tournament. 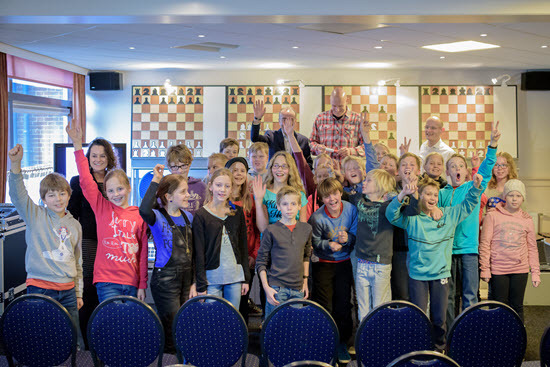 A Chessity team consisting of frontman Janton supported by Regobert Eijkelkamp, Robert Ris and Alina L'Ami greeted a group of over 30 local schoolchildren that came to visit the famous chess tournament. After a short welcome word Janton kicked of the Chessity presentation by asking the kids what they preferred.. chess or gaming. Well, gaming won by 28 over 2 votes! 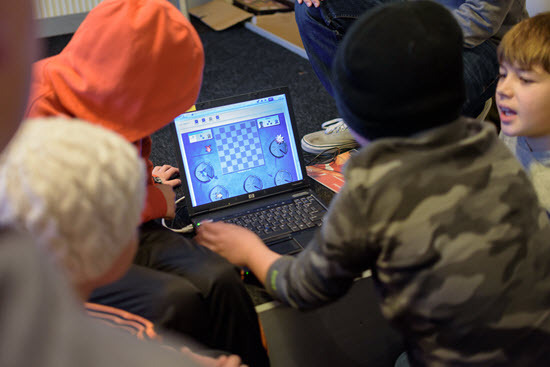 Then of course came the long awaited moment when the kids could try for themselves how 'Gaming your Training' actually works out at Chessity. The group was divided over 4 laptops and introduced to the FrogGame from the Beginner course. This soon turned out to be a piece of cake for the youngsters who really raced through the levels. Within 30 minutes one group actually ended up in the Intermediate section, solving 'double attack' puzzles with no trouble at all! In the end, the event certainly showed that chess can be gaming. And just as enjoyable as that!